So far this Summer the substandard blockbuster fare that's been served up has left me cold. 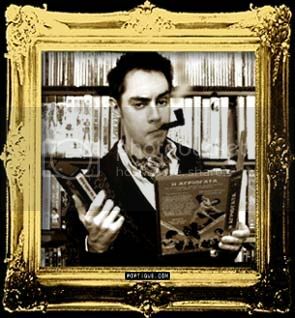 A much more interesting story has been unspooling over at Booksteve's Library, as he continues his one man search for titbits on the seemingly evaporated Let's Go For Broke - a C-Grade 70s Spy flick which proved to be the one and only starring role for blighted blonde bombshell Christa Helm. 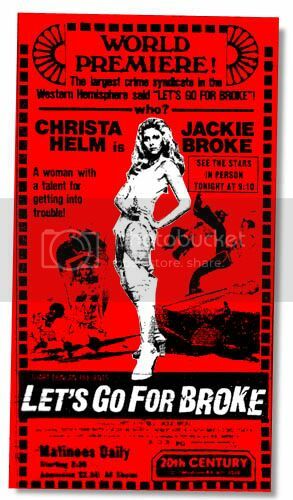 We've taken in a retrospective of his research so far, but more information has been provided by an enlightened individual who caught the film three times during the incredibly brief period Let's Go For Broke exposed it's charms to an unsuspecting audience - a two week run in Cincinnati, 1974. Two important facts have been revealed. Firstly, the Bondesque adventure had a typically Bondesque theme song - sung by Miss Helm herself - and secondly, the plot revolved around a wheelchair bound über-villain plotting to take over the world with synthetic dog food. Not just any kind of ordinary synthetic dog food, I'll have you know. Anyone foolish enough to chow down on the phony foodstuff would swiftly be transformed into a twitching pile of mincemeat. Incredible. If only a trailer for this long gone grindhouse epic could be located I'd be a happy chappy. Who needs 200 million dollar budgets when you've got killer dog food to bandy about?